Some say time travel is impossible. But they are wrong. You don’t need Doc Brown and a DeLorean; all you need is an emulator. 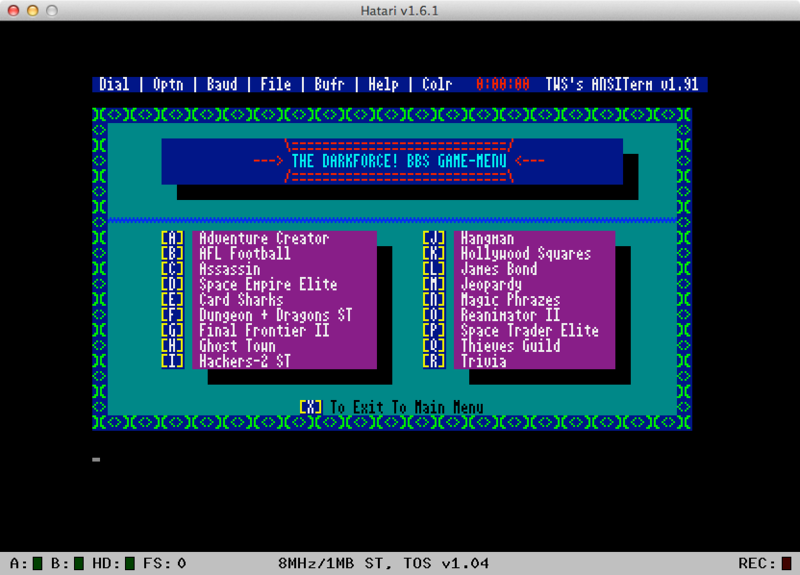 Lately I’ve been using DOSBox, an awesome cross-platform IBM PC emulator, to try some old BBS utilities from the 1990s. 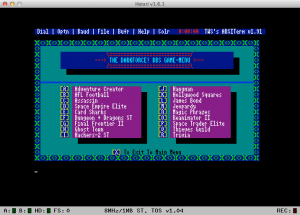 This entry was posted in Uncategorized and tagged atari st, dosbox, emulation, hatari, nostalgia, pc ditto, power st, snes9x, xformer on Apr. 1, 2013 .